Jewish Art Salon: Spiritual Defense - Exploring the power of Mitzvot and positive action in the defense of Israel. Spiritual Defense - Exploring the power of Mitzvot and positive action in the defense of Israel. Gallery hours: September 8 - October 5, Sunday – Thursday 10 – 3:30. Curators: Rabbi Yitzchok Moully for The Creative Soul, and Elyssa Wortzman for the Jewish Art Salon. As the war raged on in Gaza this summer many Jews from around the world asked themselves ‘what can I do to help people in the Land of Israel’. There was an outpouring of love and support from many with demonstrations, food drives for the IDF, donations and much more. In addition to the need of the IDF to do its job keeping the people safe, what else can we do? 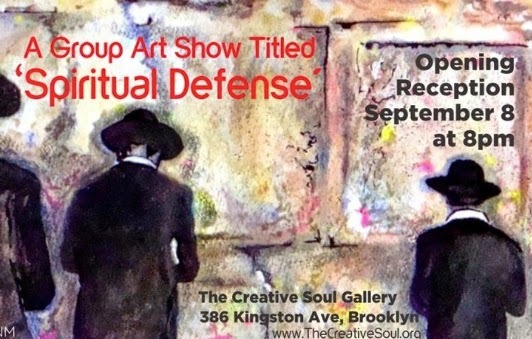 The Creative Soul Gallery is hosting a group art exhibit titled ‘Spiritual Defense’. The show aims to engage the audience in a dialogue on the ways in which the Jewish community throughout the world can stand together with their brothers and sisters in Israel through the power of Mitzvot. It doesn’t matter how many Mitzvot one has done until now, or how one identifies Jewish-ly, each Mitzvah brings protection for the Jewish people in Israel and worldwide. 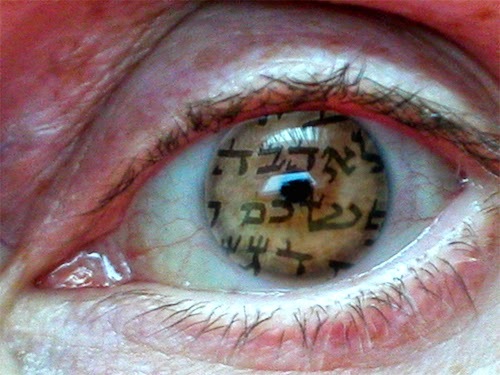 Our positive actions/Mitzvot create spiritual defense for Israel! The show will feature works by Alyse Radenovic, Batya Kuncman, Bonnie Kozek, David Baruch Wolk, Dovid Orlansky, E. Rosen, Elyssa Wortzman, Hila Ben Itzhak, Leah Raab, LNM, Lynn Russell, Mushkie Silman, Natalia Kadish, Rivka Nehorai and Yitzchok Moully.